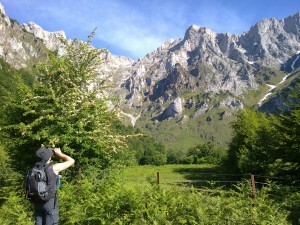 So you need some travel basics to Cantabria? Maybe planning a trip to one of Spains most unknown regions in the heart of green Atlantic Spain? On this post we gather some information for you to have it all in one place, as we aim to be not only a travel agency, but also a web to check in on when you travel on your own. So to the easy top 10 list. How to get here? Ryanair operates from several European destinations. Come by Madrid or Barcelona with Iberia/Vueling. Come by the sea with Brittany Ferries. By car from Bilbao by the A8 highway or A67 from Madrid and the southern provinces. If you prefer bus or train the trip from Madrid is approximately 5h. Where to eat? Well a good advice is to go the small taverns in the villages in the valleys. Here are some of our hot spots: Casa Frutos in Vega de Pas, La Coventosa in Asón, Cazurro in Soto de la Marina by Arnía beach, Mesón Ibio in Ibio, Vicente Campo in Espinama, Fuente Dé in Santander, we could go on… What do they have in common? They all serve traditional food and are small family owned places locals go to. You will get sort of an all -you-can-eat treat if you ask for stew for starters as they will leave the pot on the table (see our travel basics in northern Spain entry). If you want to try something typical try the snails in november (caracoles), the squid (rabas) and the croquetas is always a must in Cantabria. http://miplanhoy.com/ A very up-to-date web but as always in this part of the country… Sorry only in Spanish but translate with google is good enough to get the idea of the scheduled venues. http://nohaycole.com/ A great planner for families! But the same problem… English anyone? https://es-es.facebook.com/eventos.cantabria.7 Public group on Facebook, updated and relevant. But 1-2-3! no English. 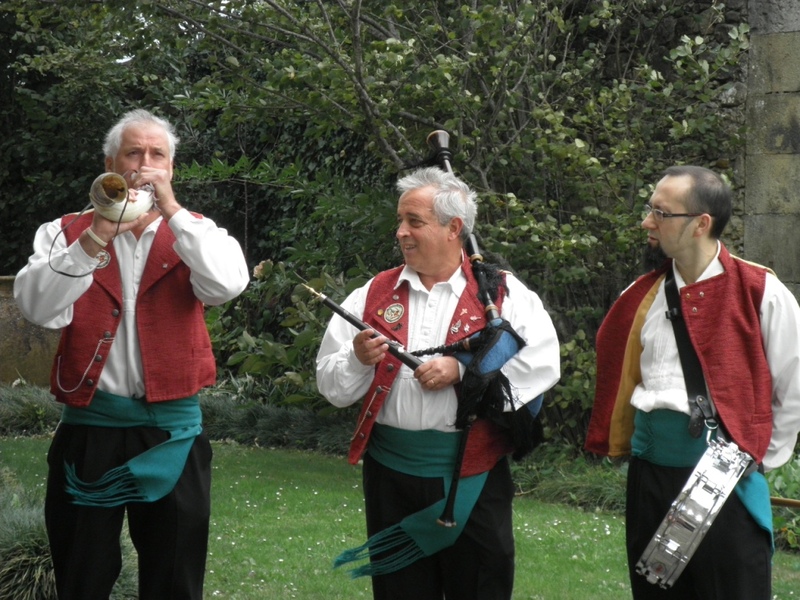 Official sites such as www.santander.es or http://www.turismodecantabria.com/ have event calendars worthwhile checking out! Go for the local cheese. Not as well known in Spain as the cheese from Asturias and the Basque country but just as good and more price worthy. Try anything from La Jarradilla or Las Garmillas. Try the local micro-breweries if you are into beer. Dougalls brewery offers the best ales and IPAs from northern Spain. Enjoy the mountains, the hiking and the easy walks. A post on this topic is coming soon but here are some good sites for selfguided walks. Take a day tour to Picos de Europa or stay in Potes for a couple of days and do daily walks from there… The Cares Gorge, The Puertos de Áliva and Fuente Dé are on your must-do list! Try our self guided tours in the region. Picos or coastal! The beaches are among the prettiest in Spain. Check out Langre, Valdearenas in Liencres , Oyambre close to San Vicente de la Barquera, Somo, Sardinero I & II in Santander, Nudist Somocuevas among others… In July and August try to be there before 11am to be able to park your car. Here is a beach post on the subject! Cabárceno, Santillana del Mar, Fuente Dé, El Soplao and the Altamira museum are great and must-dos but do also visit: Liérganes and the Miera Valley, take a walk up the Picota mountain in Mortera to see the evening sun in the summer, visit the Asón waterfall in spring, take a drive through beautiful Saja Nansa reserve, go to Bárcena Mayor and walk the streets, and try one of the local festivities on the Cantabrian fiesta calendar. You will probably not understand anything but mark the calendar on the right and try your luck! Of course we couldn´t write this without mentioning the caves. El Soplao for its natural excentric formations and Altamira for its paintings are the stars in one of the richest cave regions in the world. But there are much more! Read more here. So what about the little friendly region between the Basque Country and Asturias? Cantabria? Even in Spain the capital Santander is more important and its brand value is higher than the region (a lot have to do with the bank Santander). It is truly worth a stop for at least 4-5 days. Don´t just rush off the ferry and head to the south. The sun also shine up here. ← What to drink with pintxos and tapas? Error: Error validating access token: Session has expired on Monday, 25-Mar-19 07:12:11 PDT. The current time is Saturday, 20-Apr-19 00:10:14 PDT.